Food Friday: Cookies ~ I Can Do That! 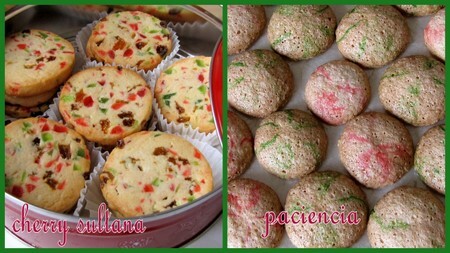 the cookies does look Christmas-y!perfect as gifts (whether for Christmas, or not)! kulay pa lang ang sarap na...I love shortbreads...they are too costly here. P.S. Amazon says shipping for 2 cast iron plates would be 8,40$ (they cost 29$) :)saw them at a Japanese store here and 1 costs 20euros (26$) :( I need 6! Those cherry cookies look like miniature parols - they look so Christmasy! Ohh good job. I love these cookies.